Dr. Nathan Crockett grew up in a home that always had a dog (lhasa apso; mixed breed; toy sheltie). His wife Abigail grew up always having a yellow Labrador Retriever. After marriage, the Crocketts had a purebred with health issues (and major shedding) and a friend told them about Goldendoodles. The Goldendoodle's non-shedding coat, friendly personality and hybrid vigor were huge draws. After a long search to get a Goldendoodle from a reputable breeder, they welcomed a champion bloodline beautiful Goldendoodle into their family. The Crocketts decided to become the kind of breeder they had such a hard time finding (family raised pups from a responsible breeder). They bought a gorgeous apricot poodle and planned to do one litter a year of home-raised pups. 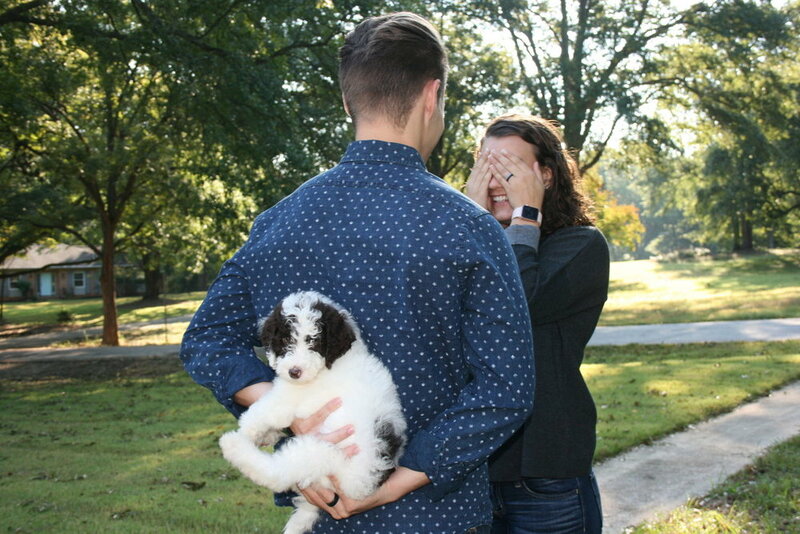 After creating the bestGoldendoodles.com website, the Crocketts had numerous emails of people wanting one of the f1b Goldendoodle puppies from their first litter. When their pet Goldendoodle had her first litter of pups, it took a long time just to type in around 400 names/emails of those who'd asked to be on a waiting list. Within a couple minutes, the Crocketts had deposits on all 12 Goldendoodle pups, and had to send an email saying the deposits were now closed. They realized they could never keep up with the demand for quality home-raised pups from a quality breeder. Not wanting to start a kennel, they worked with close friends of theirs to become partner homes. 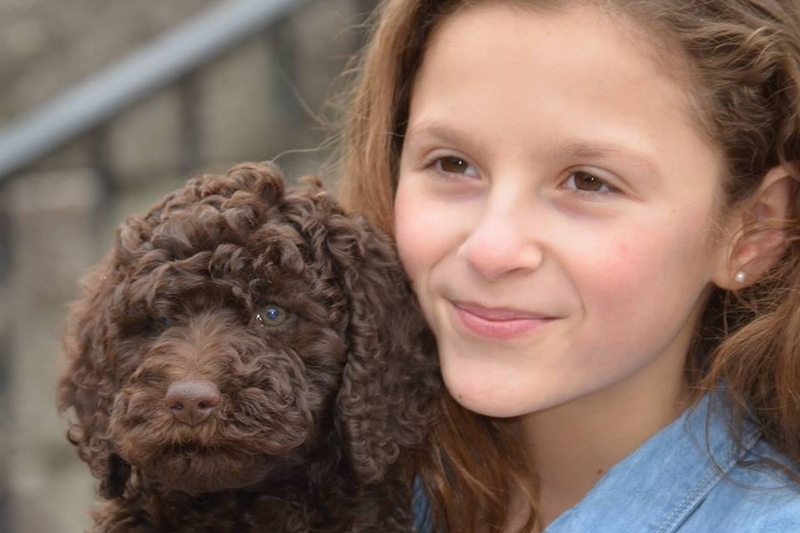 The Crocketts bought outstanding Goldendoodles for several of their friends, provided the poodle stud, and connected the puppies to wonderful forever homes. These partner homes became an ideal way to have truly family raised pups, yet provide more than one litter a year. They added Labradoodles the second year (specializing in chocolate). For many years now, Crockett Doodles has become known as a premier breeder of Goldendoodles and Labradoodles. Over the past few years, they've had requests from numerous other families who believe in home-raised pups. Several of these family friends had a desire to do a doodle breed other than Labradoodles or Goldendoodles. Crockett Doodles strategically partnered with the Dion family to do family-raised Aussiedoodles, the Arnolds to raise Springerdoodles, the Hamblens with Sheepadoodles, the Weiers with Bernedoodles, the Houtzs with Newfiedoodles, the Taylors with Saint Berdoodles, and Nathan's brother Isaac Crockett with Irishdoodles. Because each family has one or two dogs, it allows them to be true family pets. Crockett Doodles is able to devote resources to fully vetting all puppy applicants, marketing each new doodle breed, working through health tests, etc. with the partner families. 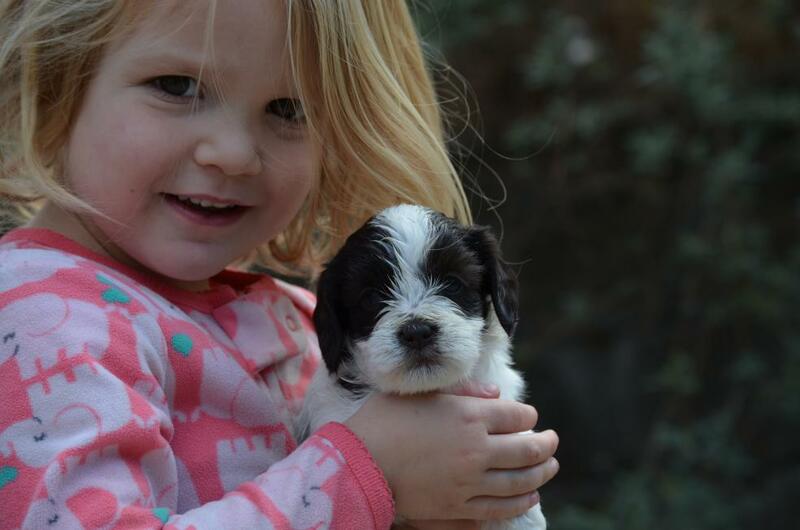 We have found it to be a wonderful arrangement to provide outstanding family-raised doodle puppies to great families. One huge advantage to the Crockett Doodles program is that a deposit for one kind of doodle can be transferred to any other doodle in our network. 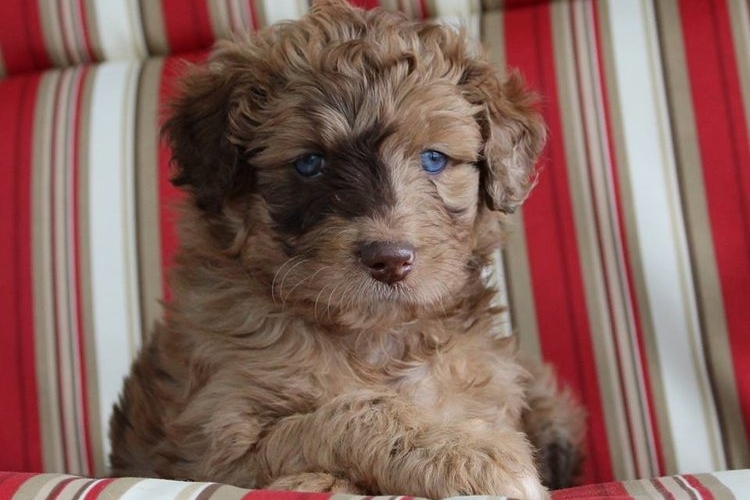 We have such high demand (and can accept only a fraction of deposits), that we are thrilled for a mini Goldendoodle deposit to be transferred to a mini Sheepadoodle or mini Bernedoodle or mini Labradoodle. Our program allows a great amount of flexibility to those who have placed a deposit with Crockett Doodles. We also are one of the only breeders to offer a fully REFUNDABLE deposit. Your deposit can be refunded at any time, for any reason.